The first pictured clock is a French marble clock made by Japy Freres in approximately 1870. For those of you interested in a clock’s history, Japy Freres was founded by Frédéric Japy, the son of the blacksmith and mayor of Beaucourt, who decided to serve as a Swiss clockmaker’s apprentice before starting the largest and most commercially important clockmaking concern in France. The business continued after his death through his sons, as he would not allow anyone outside the family to carry on his legacy. 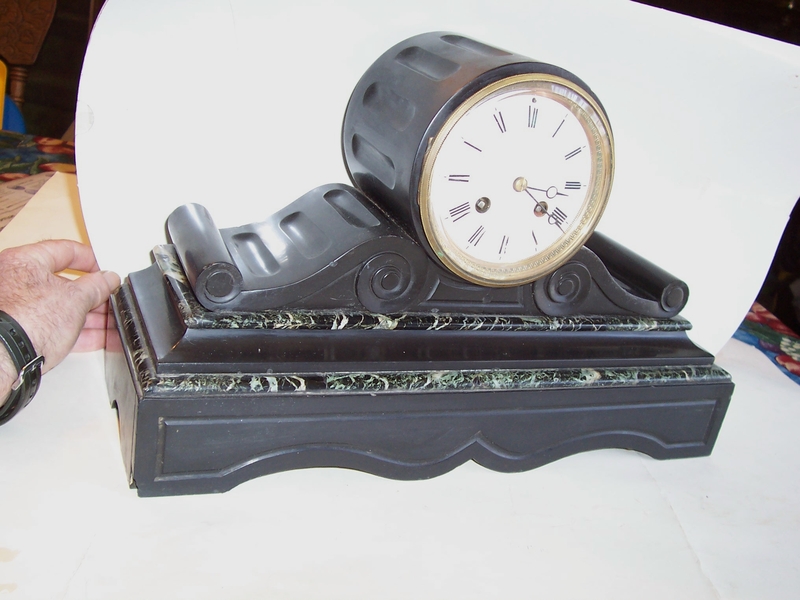 The second is also a French marble clock, with no makers mark on the movement. Anyone interested in some antiques sleuthing is likely in for a valuable find! 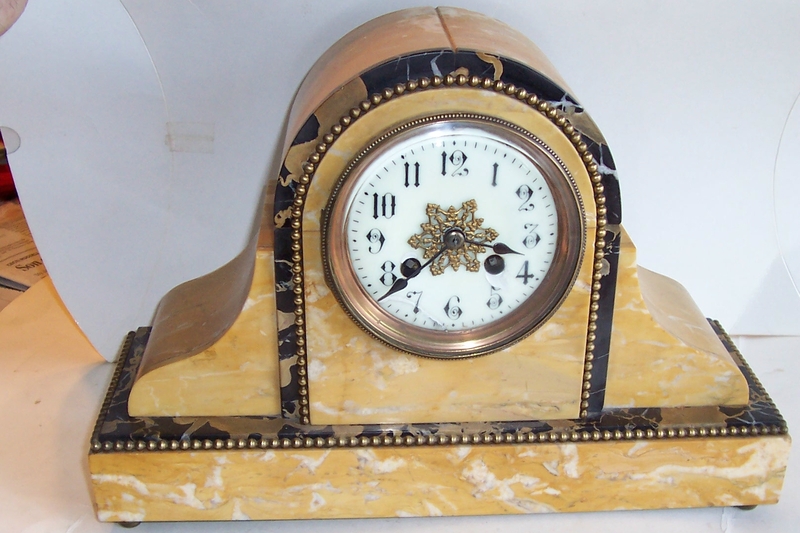 I have 5 other French marble clocks for sale, with prices starting at $300.00. They are beautifully constructed and have that great, solid heft you rarely get anymore in modern mantel clocks. All are guaranteed for a year after purchase. Feel free to click on the pictures for a closer look, and be sure to contact me when you’re ready to take one (or both) home. This entry was posted on September 29, 2008 at 6:31 pm and is filed under Sales. You can follow any responses to this entry through the RSS 2.0 feed. You can leave a response, or trackback from your own site.